It was first claimed by Izvestia.ru this week that Apple has filed for ownership of the "iWatch" name in Russia, specifically under the 9th and 14th classes for the International Classification of Goods and Services. However, AppleInsider was unable to independently verify the alleged registration by Apple through the Russian Federal Service for Intellectual Property, also known as Rospatent. Apple has filed for ownership of product names before their official announcement in the past, but historically those registrations have been done discreetly overseas under shell corporation names. For example, Apple began obtaining the international rights to the iPad name early as 2006 through a British shell corporation named "IP Application Development Limited," or "IPAD Ltd."
This week's report from Russia gave no indication that the alleged "iWatch" trademark filing was done under any such secrecy. It does claim that the first registered "iWatch" trademark filing was made in Jamaica in December of 2012. Rumors of an Apple smart watch began to pick up steam earlier this year, when a number of reports claimed that the company is developing a wearable wrist accessory. One such report claimed that the company has a 100-person team working on the project. Analyst Ming-Chi Kuo of KGI Securities believes an Apple "iWatch" won't arrive until late 2014 at the earliest. 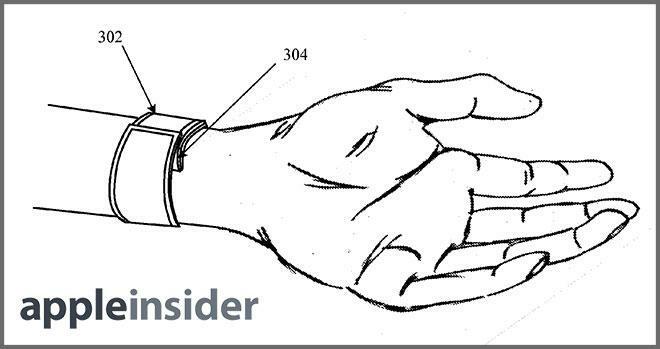 He expects the device to sport a 1.5- to 2-inch screen, and to focus on biometric feedback for users. A poll conducted by ChangeWave Research this year found that 19 percent of North American consumers are interested in a hypothetical "iWatch." That's even greater demand than consumers expressed for a mythical Apple tablet before the iPad's unveiling in 2010, as well as an Intel-based Mac in 2005.